Duke and Duchess of Cambridge met before varsity? Britain's Duke and Duchess of Cambridge reportedly knew each other before university, after meeting through mutual friends. Britain's Duke and Duchess of Cambridge reportedly knew each other before university. 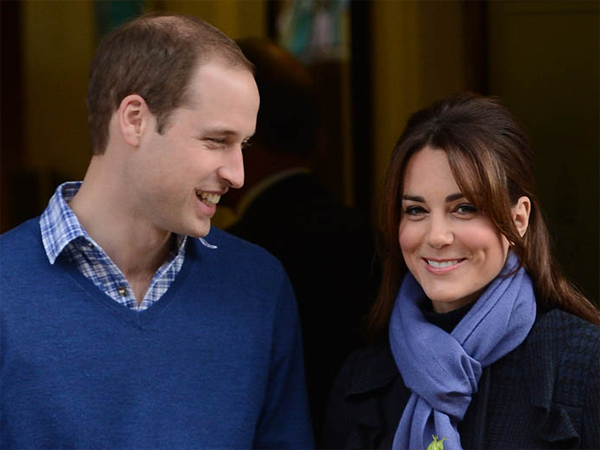 Prince William and his wife, Kate, were initially thought to have met while studying at St Andrews University, but it’s now believed the couple first stumbled across each other while at school with the help of mutual friends, according to royal biographer Katie Nicholl. Speaking in an interview with US TV host Katie Couric, Katie ? who’s recently released her new book, Kate: The Future Queen ? said, "This was really fascinating for me. I was speaking to some of her [Kate’s] friends at Marlborough College, which was where she went before St Andrews, and they said, 'Uh-uh, she didn't meet him at St Andrews. She met him before she got there . . . through some of her friends. They knew Prince William and Prince Harry'." Katie said she thought it was "interesting" after gathering new information that the duchess decided to pursue her education at the Scottish university as she’d originally applied to Edinburgh University. However, Kate declined the place at Edinburgh, took a gap year and then applied to St Andrews following the announcement the duke would be studying there. Katie said, "It was a big risk ? applicants to St Andrews had shot up by nearly 50 per cent when the palace announced that Prince William was going there." The couple confirmed they were dating in 2004, but briefly split in 2007, before going on to tie the knot in 2011 and, most recently, in July of this year, welcoming their son, Prince George, into the world.